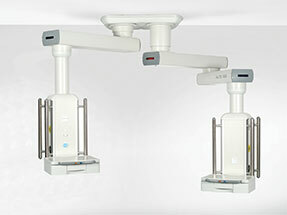 The HU6-S2-01 is a ceiling mounted pendant service system utilized within the operating theatre environment. The HU6-S2-02 is a ceiling mounted pendant service system incorporating a dual arm articulated with a single stackable vertical service column. 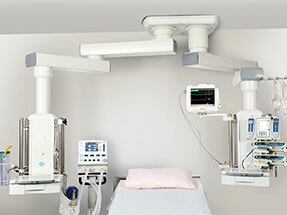 The HU6-T12 comprises a tandem mount pendant service system with one single arm articulated and one dual arm articulated vertical service column. 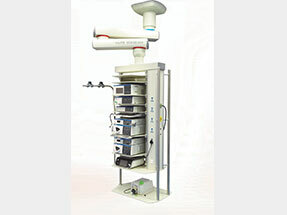 The HU6-T22 is a tandem mount pendant service system with two dual arm articulated vertical service columns. 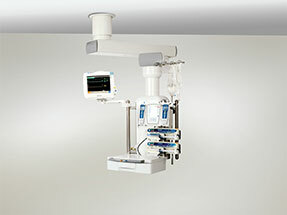 The unit incorporates a pneumatic break system.